This workshop is devoted to hand embroidery. 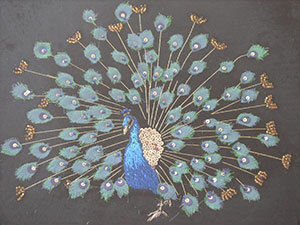 create this extravagant peacock panel. This workshop also gives you a chance to learn/improve silk shading skills.